PHILADELPHIA (AP) — Hey, it's Rocky. and Rocky? Sylvester Stallone had passersby doing double takes and chanting "Rocky! Rocky!" 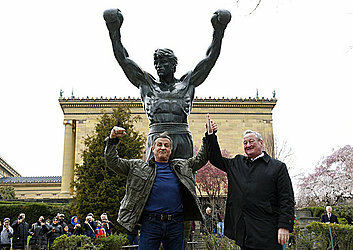 on Friday as he made a surprise visit to the statue of his iconic Rocky Balboa character in Philadelphia. The 71-year-old Stallone has played the underdog boxing champ in seven "Rocky" films since 1976 and is currently in the City of Brotherly Love making the sequel to the 2015 hit "Creed." Stallone took a break from shooting to join Mayor Jim Kenney at the statue, next to the Philadelphia Art Museum steps he famously climbed in the first "Rocky" film. 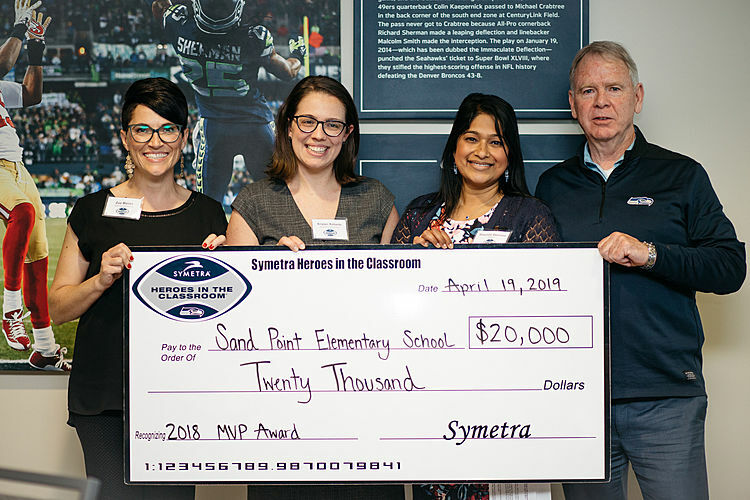 They rededicated a plaque that had been lost for 12 years and Kenney presented him with a personalized jersey from the Super Bowl champion Eagles. Stallone commissioned the statue for "Rocky III" in 1980.